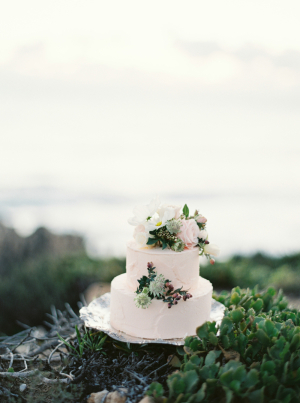 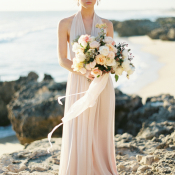 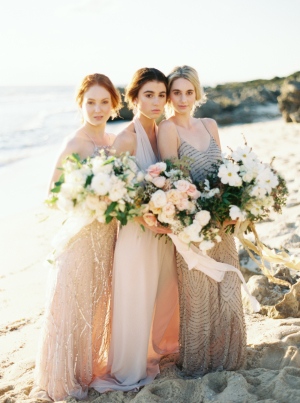 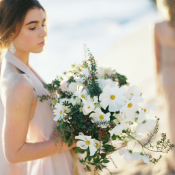 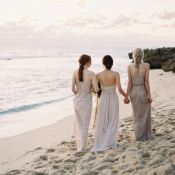 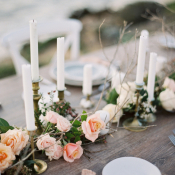 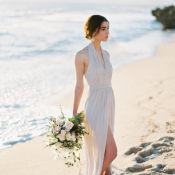 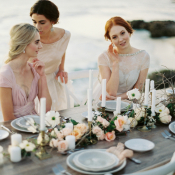 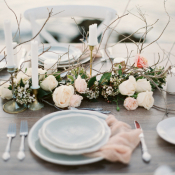 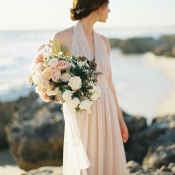 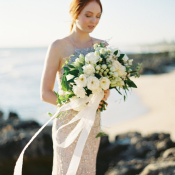 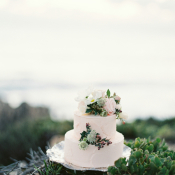 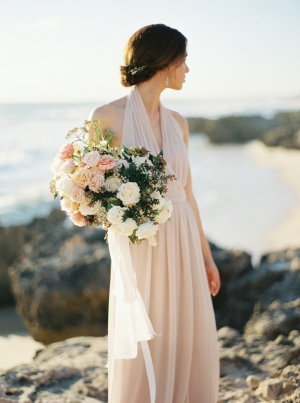 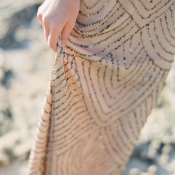 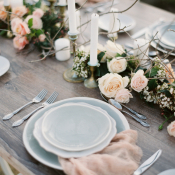 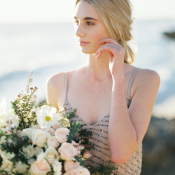 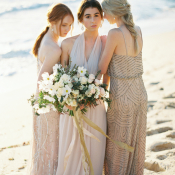 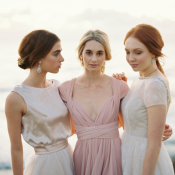 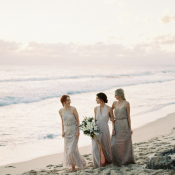 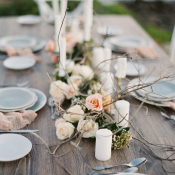 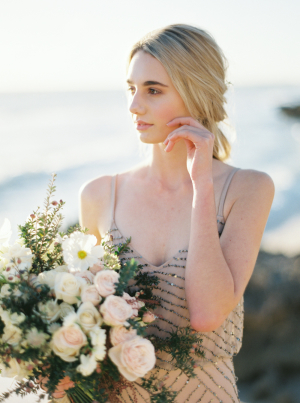 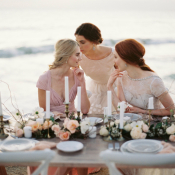 Hues of blushing sunset skies set the palette over the rocky shores of Western Australia for this dreamy inspiration shoot styled by Sierra Ramke of Babushka Ballerina. 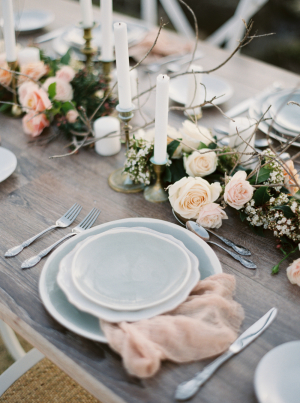 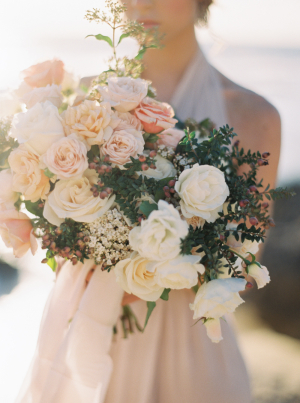 Inspired by the beautiful shades of a single David Austin rose, every single detail oozes romance. 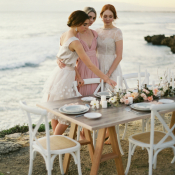 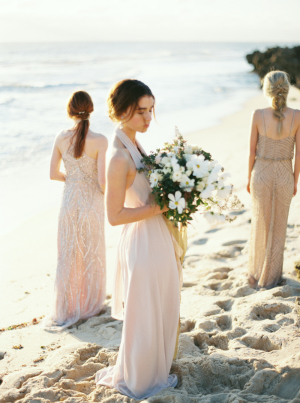 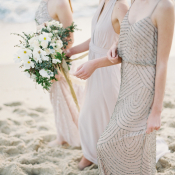 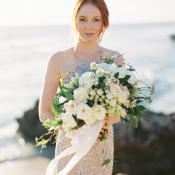 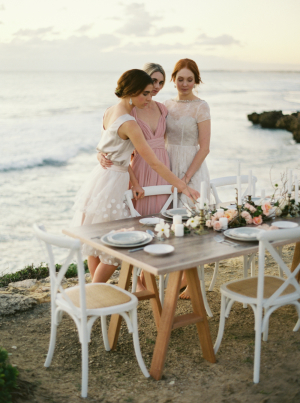 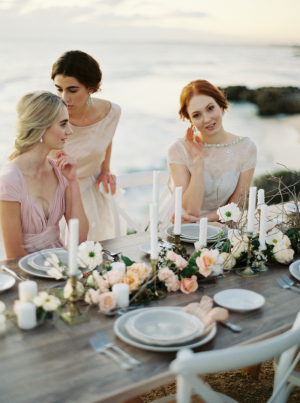 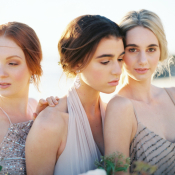 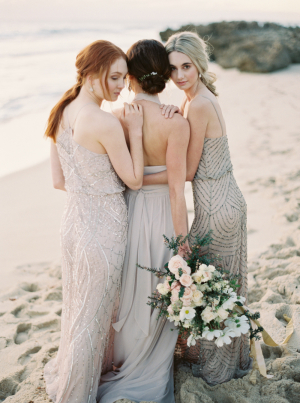 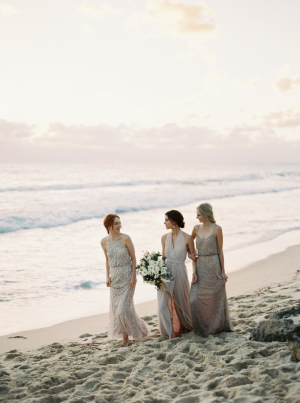 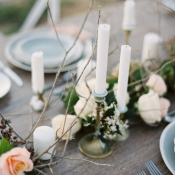 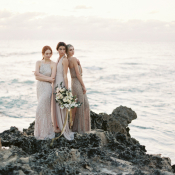 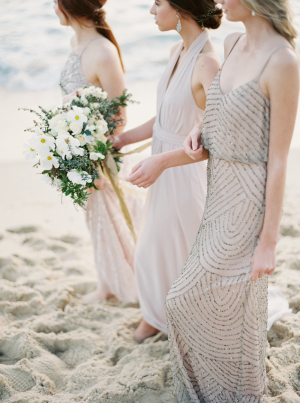 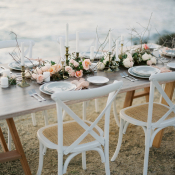 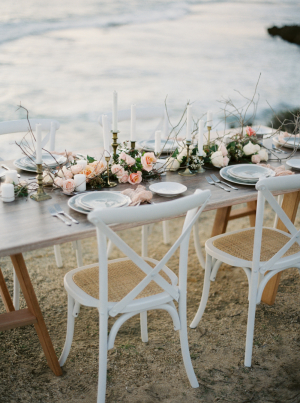 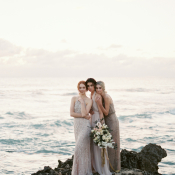 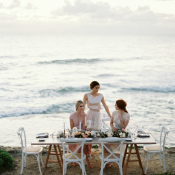 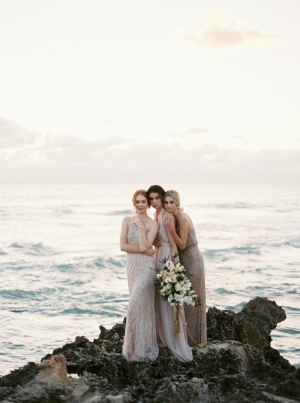 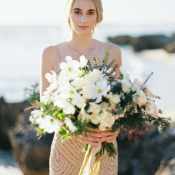 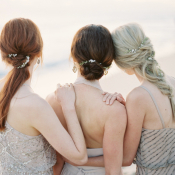 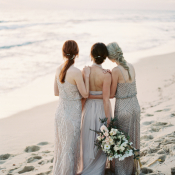 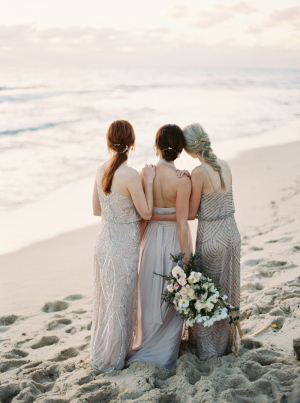 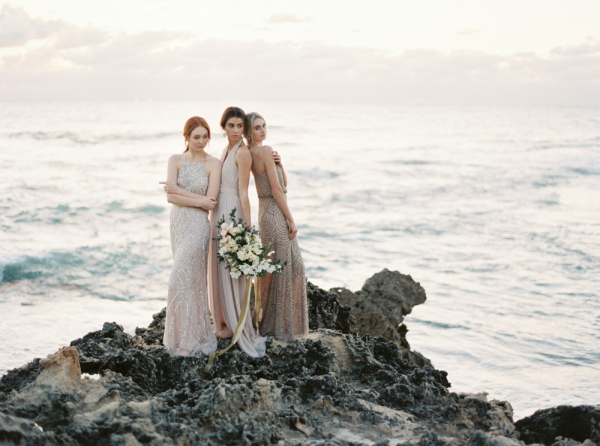 Beaded metallic bridesmaids dresses, a romantically styled cliffside table, and lush, elegant florals by Lua Leuca compliment the natural beauty of the setting sun. 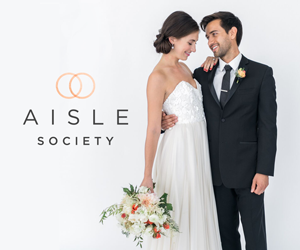 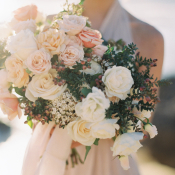 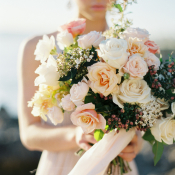 We adore the gorgeous handtied bouquets with trailing silk ribbon, their blush and ivory blooms; a match made in heaven with the champagne and copper gowns. 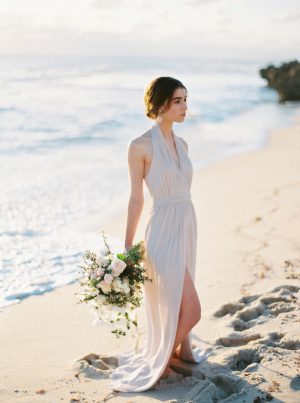 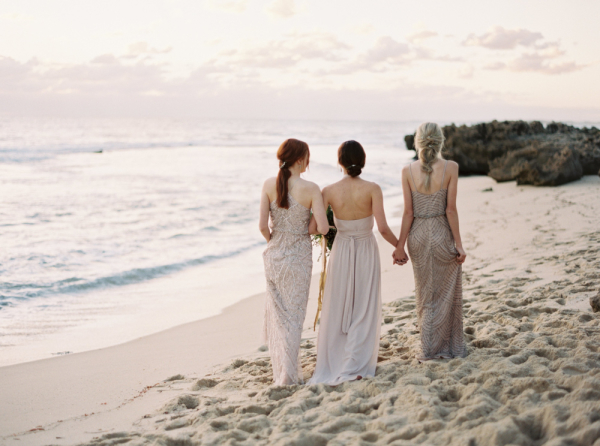 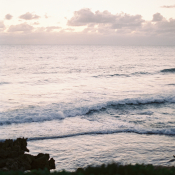 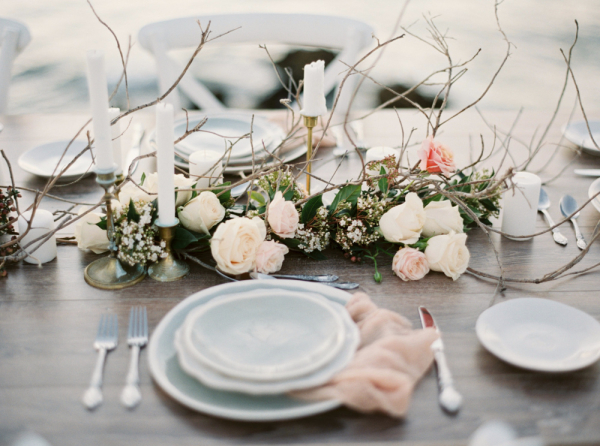 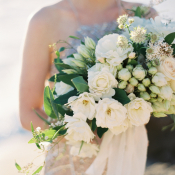 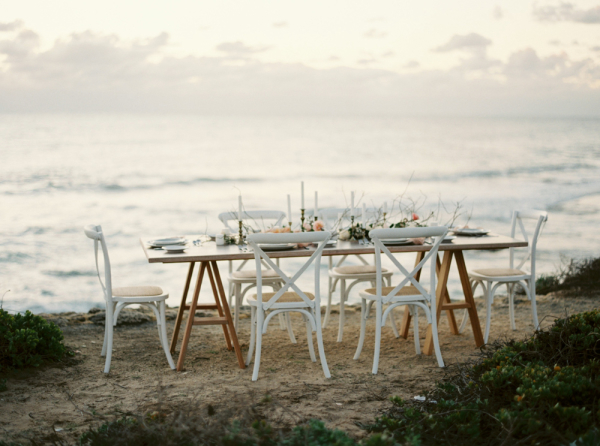 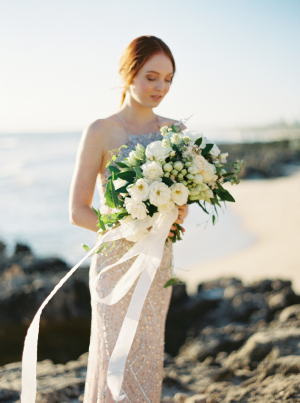 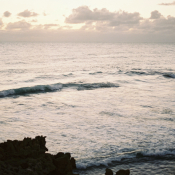 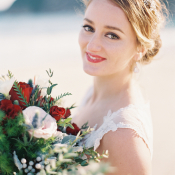 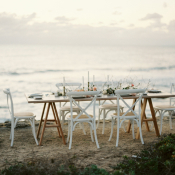 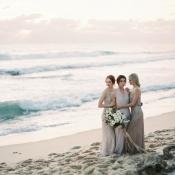 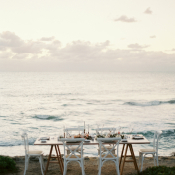 Prepare to be swept away by the stunning seaside images from Katie Grant!